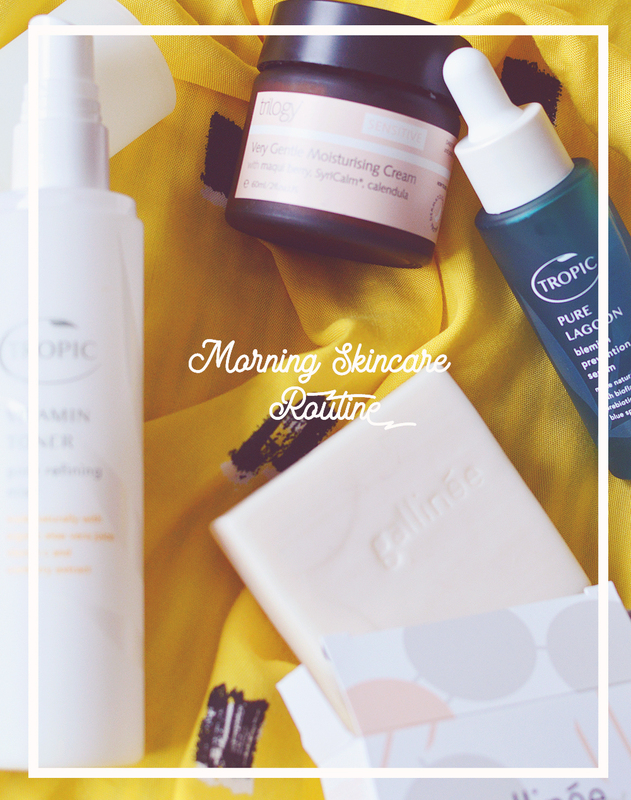 I love discovering and testing new beauty products (who doesn't?!) so whenever I get the opportunity I'm all over it like a rash (nice). Not really... But I do get pretty damn excited! I know press samples can be a bit of an awkward, uncomfortable subject in the blogging world, especially with so many beauty blogs now desperate for a slice of tha' pie, but just like everybody else who says this, it's not the be all & end all! I mean, I started my blog 3 years ago not even knowing beauty blogs exist! I also think it helps that my blog is a little more niche with it's green beauty ways. Imagine a big circle. And imagine a tiny pin inside of that, that's us #greenbbloggers happily blogging away with you all! We're awesome, nitpicky and passionate about ingredients, because that stuff matters. Anyway. 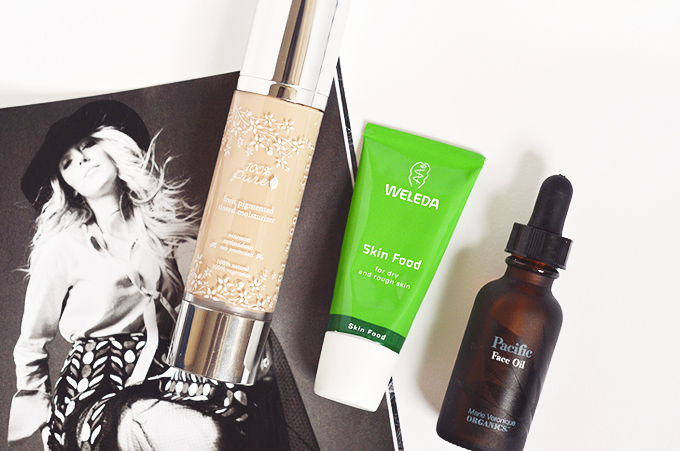 As always, I'm totally late to the party and am only just getting to try Weleda's cult Skin Food*, I have always always wanted to try this thing, just to see what the deal was as it can be used for anything and everything! It's a lot different to what I imagined, a thick yellowish cream that feels almost waxy (bonus: it smells amazing) but still is easy to massage into skin and sinks in really easily. I've been using this as a cuticle cream and a anywhere that's remotely dry cream, though not on my face. It can be used as a nourishing mask but I'm trying to avoid products with beeswax for a little while at the moment. I definitely see why it's such a classic as it really works and is just so simple. I mentioned the 100% Pure Fruit Pigmented Tinted Moisturiser* in my last post as I've been using it nearly everyday for a little while now, it's not perfect for my skin type but I can make it work when mixing it with something else. The shade match is good, obviously because it's a sheer coverage but it's not something you can't tell has done anything, it does cover and even the skin the same as a light coverage foundation. Apparently 100% Pure have a warehouse is Essex?! so there are some things you can order that wont need to be shipped from America, I need to find out more but I'm very excited!! Lastly on my discovery list is Marie Veronique Organics (or MVO for short) I was over the moon to try the Pacific Face Oil* as it not only sounds dreamy but it contains watermelon seed oil which I've wanted to try for ages! it's apparently great for problem skin. It also contains kiwi seed oil, raspberry seed, chia seed, passionfruit and papaya seed oils, what a tropical tonic! The ingredients list is dreamy (I suggest a read) and the oil itself is even dreamier. We all know I'm easily swayed by a good facial oil and this is one of the best (up there with Kahina!) my skin reacts so well to this and it softens, smoothes and helps heal blemishes too, a match made in heaven. So that's what I'm testing at the mo, what about you beauty addicts?? I love skin food too! I really want to try 100% Pure it's on my ever-growing withlist along with Silk Naturals haha! The 100% Pure tinted moisturiser sounds lovely, one day I may divulge in a purchase of this tinted moisturiser. The tinted moisturizer is also one I like to use very often. It's quite light (which is probably why you like to mix it with a moisturizer) so it does not make my skin feel greasy. I also like that it has a yellow tone. The Marie Veronique Organics Face Oils are really awesome. I have used up a bottle of the Pacific one and really enjoyed it. I did not purchase it again only because I have other serums to try, but it was a very good one! The tinted moisturiser looks amazing and the packaging is so adorable! Defiantly been thinking about the skin food over here too! Ingredients in it are fab.